As scandal shakes the political foundations in the wake of the #metoo movement, it's important to remember that the halls of power have always been subject to such controversies. But the landscape was very different decades ago, and what Senator Ted Kennedy was able to get away with at Chappaquiddick he would most assuredly be drummed out of office for today. And that makes the new film by John Curran (The Painted Veil) all the more timely, for showing us how far things have progressed. Chappaquiddick stars Jason Clarke as Kennedy, a member of the great political dynasty, who sees his career tarnished one night in 1969 when a late night drive with aide Mary Jo Kopechne (Kate Mara) ends with his car in the river and her dead. Kennedy's actions in the immediate aftermath, such as refusing to notify the police and employing his family's vast PR resources to deflect attention, would only cast greater suspicion and end any Presidential ambitions. Ed Helms, Bruce Dern, Jim Gaffigan, Olivia Thirlby, and Clancy Brown co-star. The film debuted at TIFF but I don't recall it really standing out from the crowd. With so many political dramas arriving recently it may have a tough time. Plus don't we get enough scandal from the White House every single day in the news? 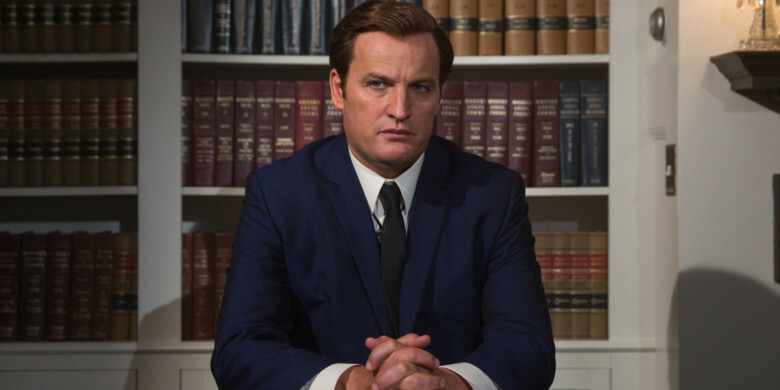 Chappaquiddick opens April 6th 2018.